Looking to escape the Atlanta, GA, heat this summer with a perfect vacation, without the hassle of airports and luggage? Consider contacting the pool builders Atlanta counts on to create an outdoor oasis that will keep you, your family and friends cool. Atlanta Outdoor Designs can create the perfect Atlanta pool for your property, but also add hardscapes and landscaping to create the ideal backyard. Have an existing pool and want to give it a new look? Count on Atlanta Outdoor designs for pool remodeling Atlanta residents have trusted for years. Having an outdoor pool on your property gives you many advantages that can improve your budget and quality of life. An Atlanta pool gives you more opportunities for family time. Whether you have a young family and want the kids and their friends to have a place to hang out with you or you’re an older homeowner and want to make it easy when the grandchildren come to visit, an outdoor pool becomes a focal point of the social activity in your Atlanta, GA home. An Atlanta pool also offers you the chance for years of “staycations,” eliminating the expense and stress of packing, airports hassles, and navigating unfamiliar places. If you enjoy spending time close to home, then an outdoor pool gives you a great escape that’s a short walk from your front door. An outdoor pool gives you a great opportunity to get some exercise whenever you want, without having to pay for a gym membership or schlep your workout gear to another location. 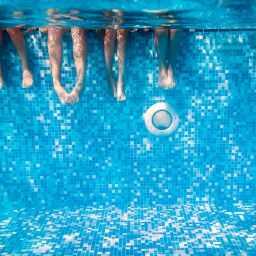 Swimming laps is a tremendous way to stretch various muscle groups in a low-impact manner while building cardiovascular strength and muscle tone. When you’re done and ready to hit the showers you’ll be just steps away. There are other advantages to contacting the pool builders Atlanta homeowners have relied on for decades. It’s a great way to add to the property value when you’re ready to sell your home. It’s also a great way to add an easy way to host social events for friends, coworkers or community groups you’re a part of. You’ll be able to teach your children and grandchildren how to swim effectively and not be afraid of the water when you give them regular access to the pool. No need for private swim lessons when the young ones in your life have access to a pool from a young age. And if you don’t enjoy spending a fair chunk of your weekends pushing a lawnmower around, then a pool will give you a more spare time to enjoy your pool and not mowing and raking lawns. Atlanta Outdoor Designs has been building pools for decades, installing hundreds of pools in the Atlanta area. We also help homeowners repair and replace pools that feature newer designs and features with pool remodeling Atlanta residents trust. 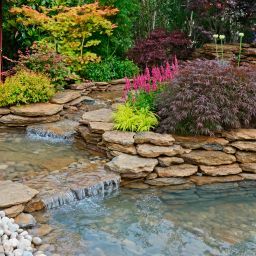 We also offer a full range of landscaping services and hardscape installations, including water features like waterfalls and hot tubs to fences, walls, and walkways.